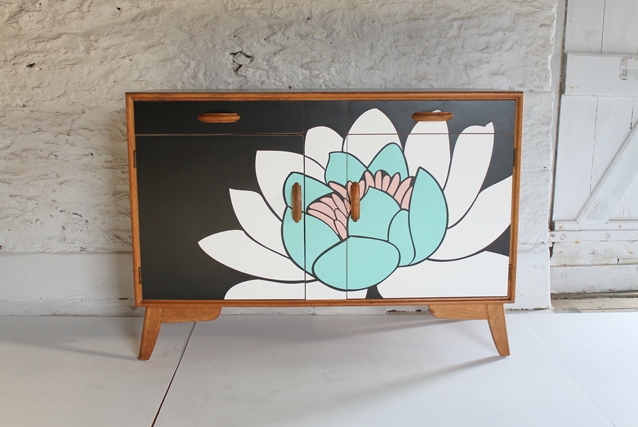 A very functional sideboard with a lot of storage. 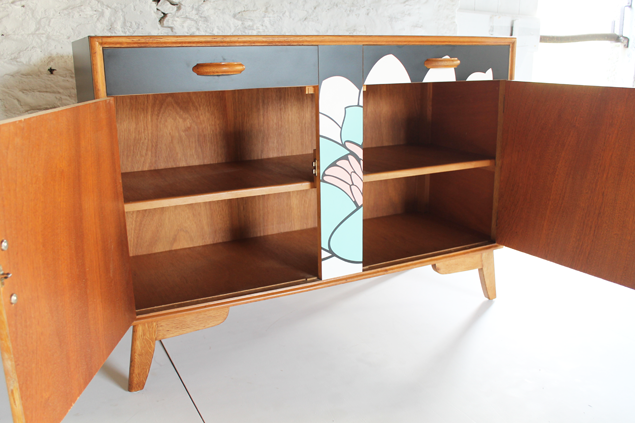 1950’s oak. 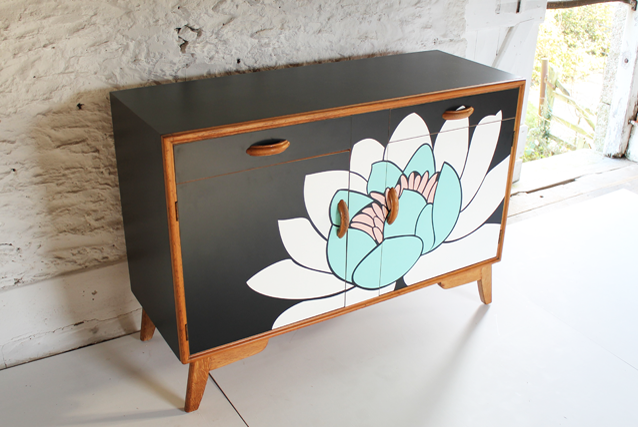 Black formica with a water lily design inlay. 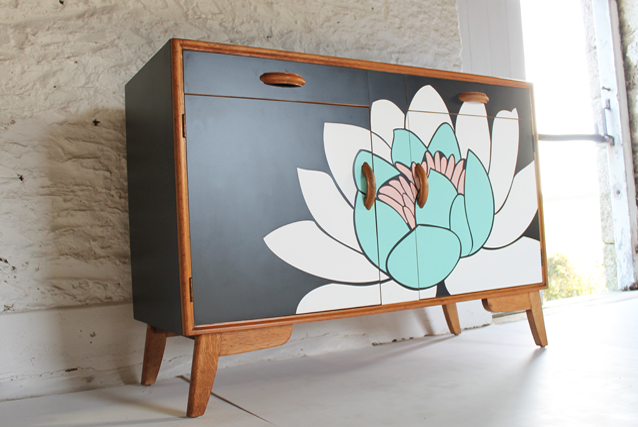 The water lily is laser cut formica and inlaid using a unique modern marquetry technique. 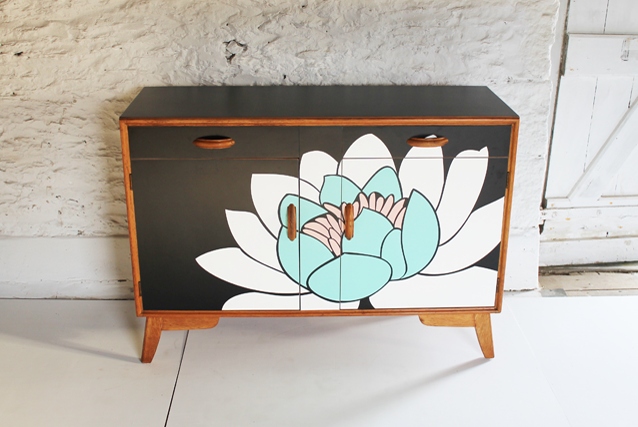 The lily is white, marina and almond blossom – see formica website for colour swatches. 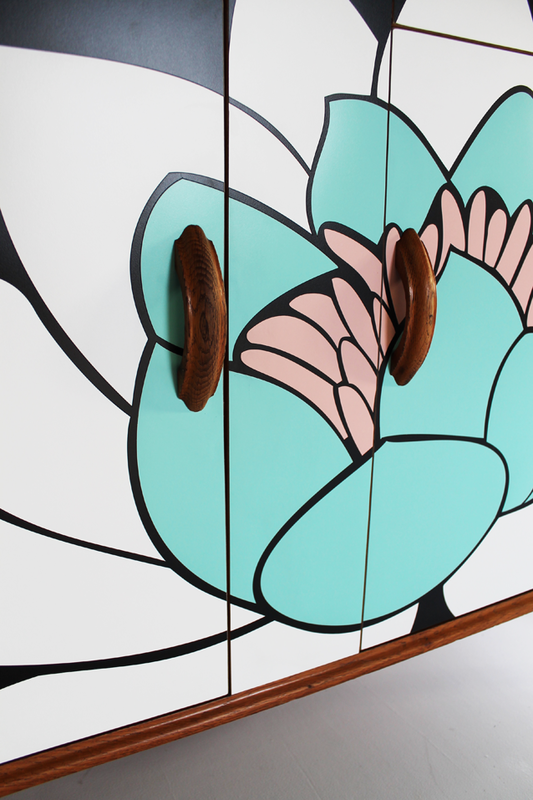 Formica will never fade, and is heat and scratch resistant, unlike paint. Free UK mainland delivery on this item.